Hey, there’s a hole in my shoe! Actually there were about a hundred holes in my shoe. 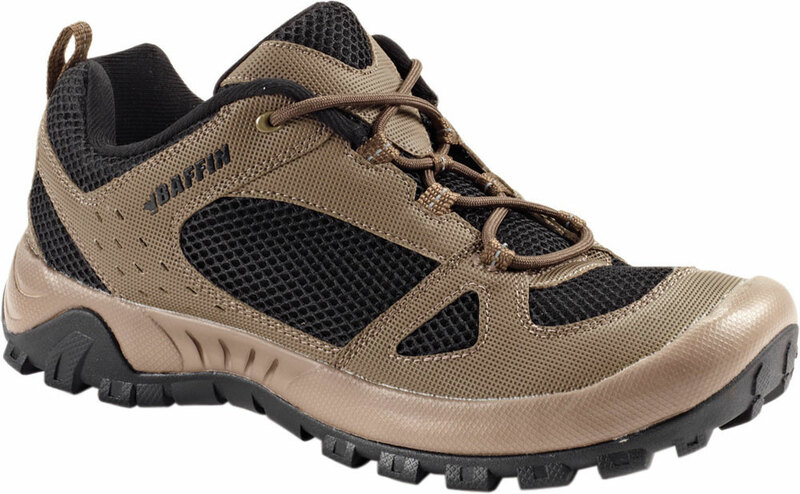 I was testing the new Trail To Rapids hiking shoes from Baffin Footwear. 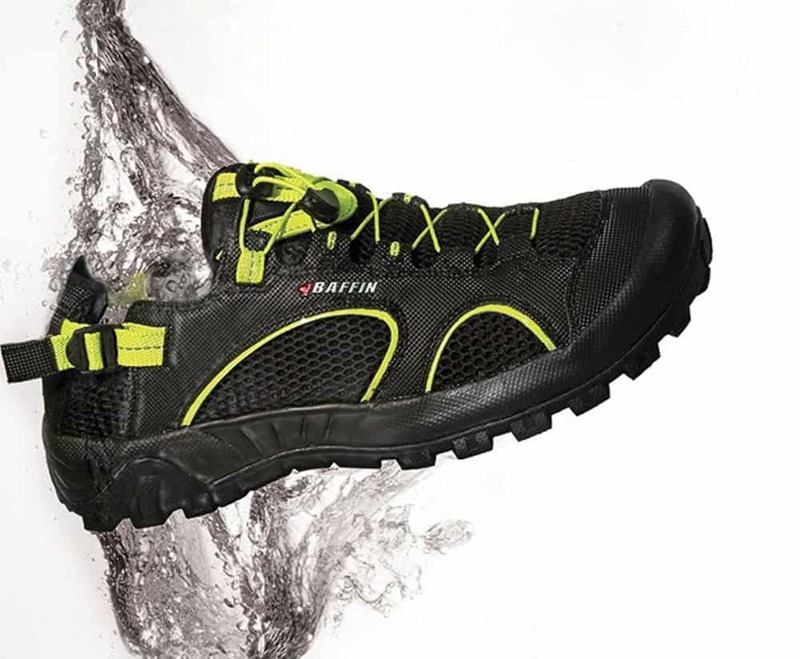 Baffin is best known for making extreme footwear, like the boots you’d wear on an expedition to Antarctica. I have a pair of their Polar Endurance boots, rated to -100C (-148F). So what are they doing producing shoes that are full of holes? As we all know, shoes take up a lot of space when you are trying to pack light. And if you are going on a back-country trip, chances are you are going to want a good hiking boot/shoe, and also some type of water shoe. When you are crossing an alpine stream, you don’t want your nice leather hiking boots to fill with water, if for no other reason than it takes forever to dry. And walking barefoot on the sharp rocks of a riverbed has never appealed to me. 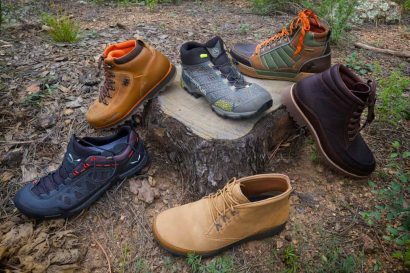 If you are camping along a beach, or in a nice alpine meadow for a day or two, it’s also nice to be able to slip on some light and comfy shoes to wear around camp. So what most people end up taking is a pair of hiking boots and maybe some water-slippers or a pair of sandals. The water slippers are a single-purpose item, they don’t give you the support to hike in (the most famous version is probably the Nike Aqua Sock). Some sandals can be pretty comfy on the trail, but most don’t have much in the way of support, and often leave the toes and ankles exposed and subject to injury. 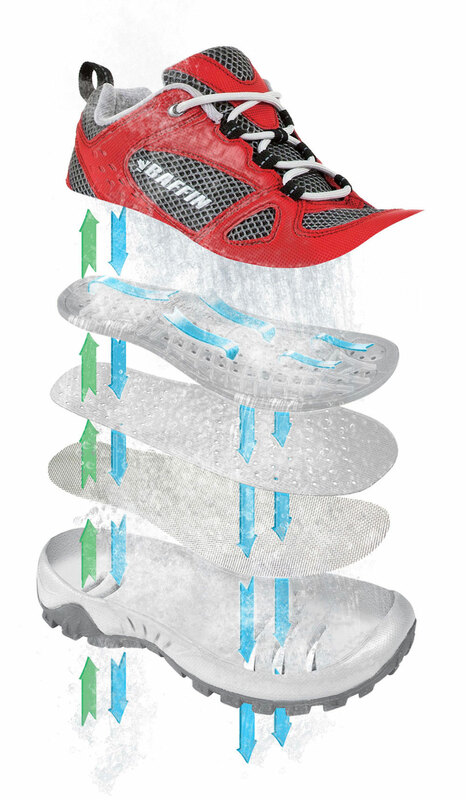 Enter the Baffin Trail To Rapids line of shoes. 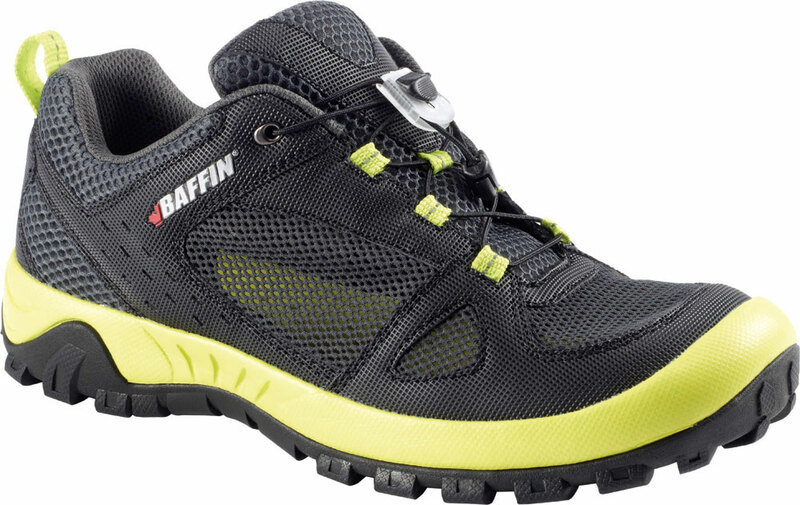 Baffin realised that a lot of people want to go fast and light, and don’t have room to carry extra footwear. These new trail shoes have good arch support, and a wide and grippy outsole for muddy and rocky trails. 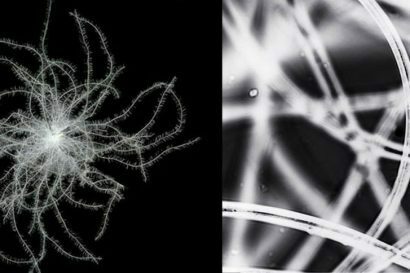 But what makes them most innovative is what you can’t see. They have a series of channels through the base, so any water (or dust or sand) that enters the shoe drains immediately out the bottom. To ensure the channels don’t allow debris to come up and injure the foot, they sandwich a steel mesh layer into the sole. I used a set of these on the recent Trans America Trail expedition, and I was impressed. The good support allowed me to jog along the trail carrying my camera gear, to set up for the vehicles coming up the trail behind me. The grippy soles allowed easy clambering over rocks, logs, and loose dirt slopes to set up for a long-shot. And the porous sole meant that the bull-dust of Northern Nevada drained from the shoes as quickly and easily as the water from the Alpine streams of the Cascade mountains. These won’t replace my hiking boots. I still like the support and protection of a full leather boot, especially when I am in loose terrain and carrying a heavy pack. 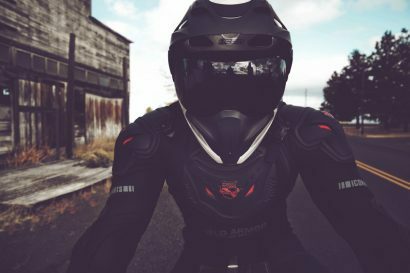 But for those trips when I am traveling fast and light, or if I need one pair of shoes to toss in my moto-panniers for a cross country trip, these are now top of my list.